I’m one of those people who gets annoyed at seeing Christmas decorations come out right after Halloween. I like my holidays low key and in discrete, small chunks. But uncharacteristically, I’m getting excited about a holiday early this year. A knitting holiday — NAKNISWEMO: National Knit a Sweater Month. A gloriously cabled body and simple sleeves. A little challenge. But the sleeves give me a bit of a break with something relatively easy. Those look like saddle shoulders. I really enjoy sewing together sweaters with this kind of shoulder. Much easier than set-in sleeves. This one has diamond cables that look like so much fun to knit, combined with an all-over texture that extends down the sleeves. This one features drop shoulders, so once again I would get out of doing a set-in sleeve (yay!). One of these two sweaters is definitely going to be my NaKniSweMo2016 project. I just can’t choose which one. I have a month and a half to figure it out and acquire my yarn. Any one else want to start celebrating/obsessing early with me? I look forward to reading about what you decide to make. 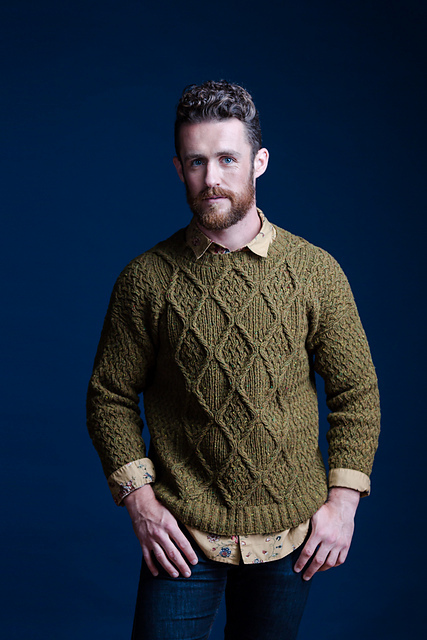 Brooklyn Tweed–how can you go wrong?! I’ve been wanting to knit jumpers for ages! I only have my Polly Pullover which I’m really proud of. Totally failed at NAKNISWEMO last year. It’s really hard to choose. Good news is, I don’t have to. The sweater is for my husband. So he gets to choose. This year will be my third time participating and I’m split between planning to knit two simple ones, or one beautiful and challenging one like Auster. In the mean time, I’m sprinting through sock projects I want to see finished before November!